See famous TV psychic Sylvia Browne live and in person on her upcoming national Sylvia Browne tour. Check for complete tour dates and ticket information for upcoming Sylvia Browne events. Many people that contact me are not only interested in angels; they are interested in contacting their angels. In this article, Sylvia Browne taught how you can contact your angels. Everyone’s grief is relative to them – just as happiness is. In this article, Sylvia Browne discussed how to cope with the death of a loved one. Adulthood and old age blend into each other. In this article, Sylvia Browne explored how many of the levels of Earthly life merge together before they become more defined and singular. Should we believe in Nostradamus' prophecies? Sylvia Browne examines the life and times of this legendary prophet. Psychic Sylvia Browne answers questions from SpiritNow.com readers that have puzzled us all. Many people have questions about The Other Side when a loved one, friend, or a beloved pet moves on. Sylvia Browne answers your popular questions about life on The Other Side. The Cherubim and the Seraphim are known as the most joyous phylum of the many types of angels. Sylvia Browne discusses the importance of these angels. Today, on the eve of Mother's Day, I’m going to explore our much deeper relationships – our family. Do you love candles? Many people do! Sylvia Browne discusses the benefits from the spiritual energy that candles possess. Many mothers ask me, "Sylvia, is my child psychic?" Every child is psychic. Psychic gifts in children vary from one child to the next, in a fascinating array of specialties. Some may remember that in my book, Life On The Other Side, I wrote about eight phyla of angels. Sylvia Browne discusses the angelic powers. We’ve all formed patterns and rituals throughout our entire life. Sylvia Browne examines how to break our negative habits to create a positive lifestyle. People always ask me, "Sylvia, when time comes, how do we get to The Other Side?" Sylvia Browne gives the answer. Children's Dreams: Do You Listen? What is your first thought when your child wakes up? Sylvia Browne discusses why your child may need to talk about their dreams from the previous night. One of the most dramatic headlines in 2012 will be the discovery of some mysterious debris in a California/Nevada desert. Sylvia Browne discusses the arrival of extraterrestrials in 2012. Sylvia Browne's Spirit Guide Francine gives answers to questions about her work with Sylvia and answers questions about The Other Side. Many people have heard of the tunnel that connects us to The Other Side. Sylvia Browne discusses this Silver Cord. I have had people ask me about the "stranger" that appears to them with a message in their dreams. Sylvia Browne discusses Spirit Guides in your dreams. Many people who are familiar with angels have also heard of the Archangels. It’s a cliché and an inarguable fact that children are our future. I wish it were equally common knowledge that children are also living, breathing proof of our immortality. Sylvia Browne answers a member question and discusses the impact of spirits all around. Before doing my research, I wasn’t sure what to expect about life on The Other Side. I wondered what people on The Other Side were like. Sylvia Browne explains her findings. Sylvia Browne is without question, "America's #1 Psychic," an internationally known psychic and medium. With her next Web Class tonight, read about The Legend of Sylvia Browne. Once we get to The Other Side, how can we become a Spirit Guide? Sylvia Browne explains. When the question of living on The Other Side comes up, so many people wonder what they are going to do with their time. Sylvia Browne talks more about life on the other side. When people have heard me talk about The Other Side, often they will ask me "Sylvia, what is The Other Side like?" Many people have heard me talk about my Spirit Guide Francine. I also have another Spirit Guide named Raheim. Sylvia Browne discusses her relationship with her Spirit Guides. Your Spirit Guide is guiding you and supporting you throughout your life. Get to know your Spirit Guide. Sylvia Browne explains the importance of communicating with your Spirit Guides. 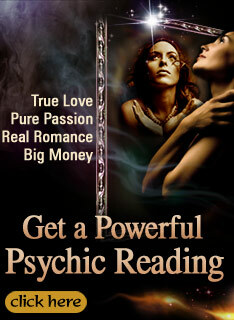 Join Me, Sylvia Browne, for my first Web Class of 2009 on SpiritNow.com, where I will give away a private psychic reading to a lucky viewer. Get all of the details here. A popular question I always hear is, "Sylvia, what do my dreams mean?" People want to know how to understand dreams and dream symbols. The highest and most advanced spiritual level you can obtain in this life is that of mystical traveler. Sylvia Browne discusses what it's like to be a mystical traveler. Sylvia Browne explains the day she met her Spirit Guide Francine for the first time. If you know my work, or you've seen me on television, or you've been to one of my lectures, you've heard me say a thousand times that I come from a lineage of psychics that dates back three hundred years. When we arrive on The Other Side, we are greeted by an Orientator. Sylvia Browne explains the importance of this in preparation for Life On The Other Side. Is Your Pet On The Other Side? The loss of a pet can be as devastating as the loss of any friend or family member in your life. Sylvia Browne explains how to find your pet on The Other Side. As we enter 2009, I know so many of you are worried about the economy more than anything. Thankfully, I predict positive changes for the economy in 2009 with improvement coming sooner than most people expect. When people start to ask me about The Other Side, they often want to know what they will do there. Sylvia Browne answers the question of what is life like on The Other Side? Your psychic mind provides you with valuable impressions while you are sleeping peacefully. The meaning of these prophetic dreams can be powerful. Is there really anything wrong with wanting a comfortable, secure future? Of course not. In these tough economic times, Sylvia Browne teaches you how to attract abundance and be spiritually rich. So many people have questions about life on The Other Side. Sylvia Browne discusses what life is like and what fun lies ahead on The Other Side. The famous "Skull and Bones Society" has been often referred to as "the Brotherhood of Death," "the Order," or just plain "Bones." Sylvia Browne explains the story behind this exclusive group, whose members include the current U.S. President. There are many phobias, everyday fears, and incessant worries that don’t relate to this lifetime. Sylvia Browne discusses our past lives and how they impact our present and future. Sylvia Browne examines the end of the world predictions, the Mayan Calendar, and the 2012 prophecy. What will happen to us? Sylvia Browne recalls her favorite ghost story, including how she met Montel Williams. Many people ask me, "Sylvia, what can I do during a psychic attack?" I’ve never had so many clients suffering from psychic attacks than I have right now. It is now time to discuss one of the things I’m most often asked about: the role of dark entities in creation.